Hale Nani furlough inmate Alexander Hill fails to return to reintegration center. Hawaii Police notified. If seen, call 911. 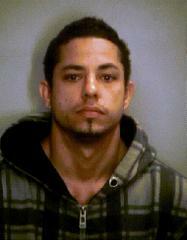 Hale Nani work furlough inmate Alexander Hill failed to return from a furlough pass to the reintegration center. Hill left at 11:45 a.m. and was scheduled to return by 4:15 p.m. Hawaii County Police were notified. Hale Nani, HCCC's reintegration program, is a dorm-style building located in Panaewa. Hale Nani offers offenders reintegration services and a work release program for sentenced inmates who will be released on the island of Hawaii.